Kalmar, the business area providing container handling solutions within Cargotec, has received orders for 25 straddle carriers from Australia and Germany. Ten of the straddle carriers will be delivered to MSC Gate Bremerhaven and 15 to Patrick Corporation's container terminals located in Melbourne and Sydney. The straddle carriers will be delivered during 2007-2008. The 10 straddle carriers ordered by MSC Gate Bremerhaven are environmentally friendly EDRIVE® straddle carriers. Electrically controlled engines ensure low exhaust emissions and fuel consumption. The straddle carriers will be equipped with twin-lift spreaders and they can be fully automatized in future. The order is continuation to the order made by MSC Gate Bremerhaven earlier this year. The 7th generation straddle carriers ordered by Patrick Corporation are also equipped with twin-lift spreaders with hoisting capacity of 50 tonnes. The straddle carrier model equipped with a CSC Smoothlift(TM) hoist unit are the best-selling straddle carrier in the world. The equipment delivered to the East Swanson Dock and Port Botany terminals are also environmentally friendly and they can be fully automatized in future. 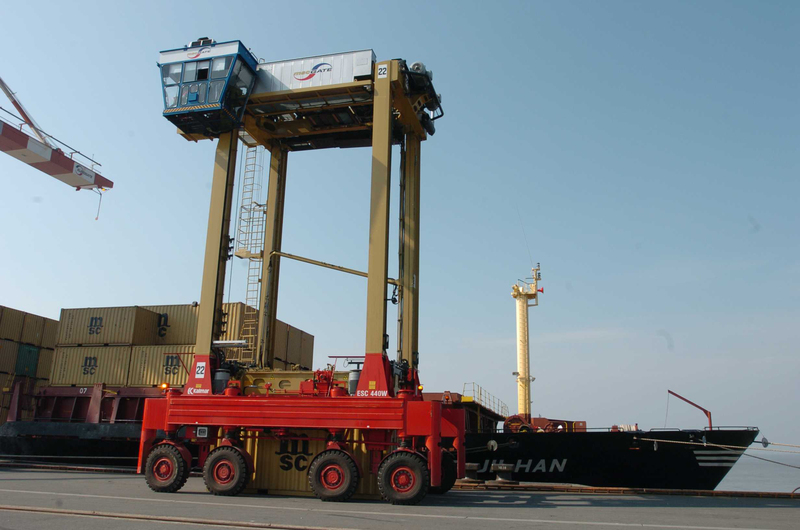 Patrick Corporation is a long-time customer of Kalmar and it has over 70 Kalmar straddle carriers operating in its terminals. The unit price of a straddle carrier varies between EUR 700,000-900,000.